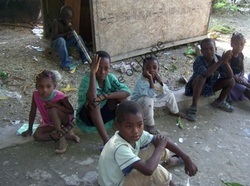 The Kids in Haiti need your help! 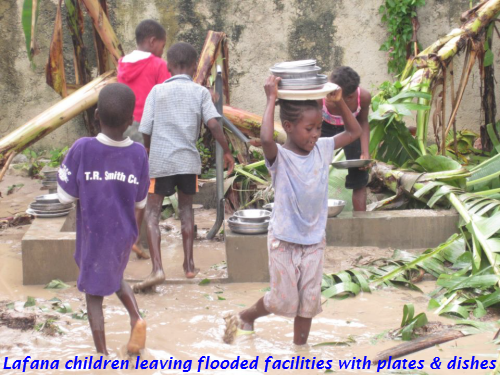 Our orphanage was severely flooded by Hurricane Sandy, leaving the children with no place to stay, sleep or to attend school. Additional rains in November literally destroyed our facilities, so now we must rebuild. 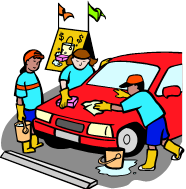 To generate funds, we are having a car wash on June 15, 2013. We urge you to attend this fund raiser, as we are planning a trip to Haiti this summer to rebuild and to bring in much needed supplies of all sorts, including medicines. Donations of school supplies (paper, notebooks, pencils, pens, backpacks) and children's dosage generic acetaminophen ("Tylenol"), generic ibuprofen ("Advil", "Motrin") , aspirin, and cough medicines are greatly needed. Cash is much needed in order to buy food for the children. Sadly, two children died in December 2012 due to lack of food. Thanks in advance for your help. It is much appreciated!